The performer displays an empty bag, shown inside and out to be of the same color. A deck of cards is dribbled or dropped in the bag, and the bag is snapped. 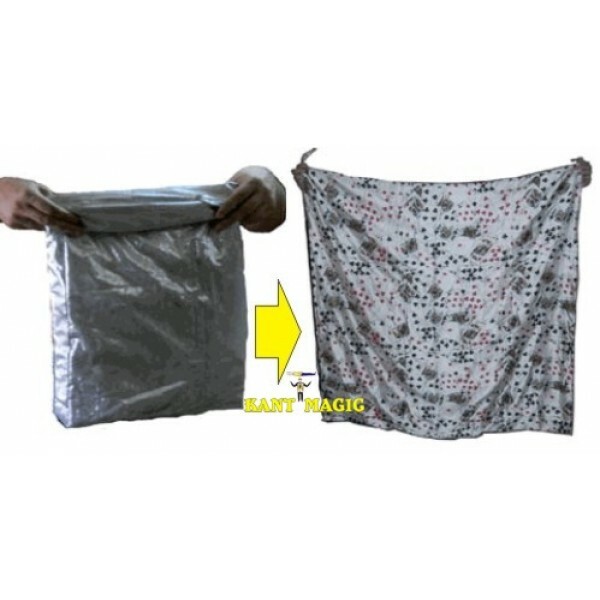 In a instant the bag transforms into a very large foulard 44" x 44", with all the different cards printed on it. 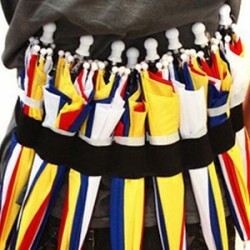 The foulard may then be shown freely front and back. 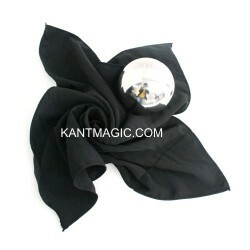 The Bag is made from a heavy satin material to ensure smooth working. Comes complete with required apparatus and instructions. Cards not included - use any deck of cards. 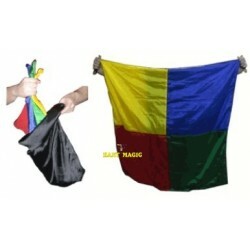 Four Square Bag Blendo The performer displays 4 large different colored silks and an empty black ba..